PRICE REDUCED! 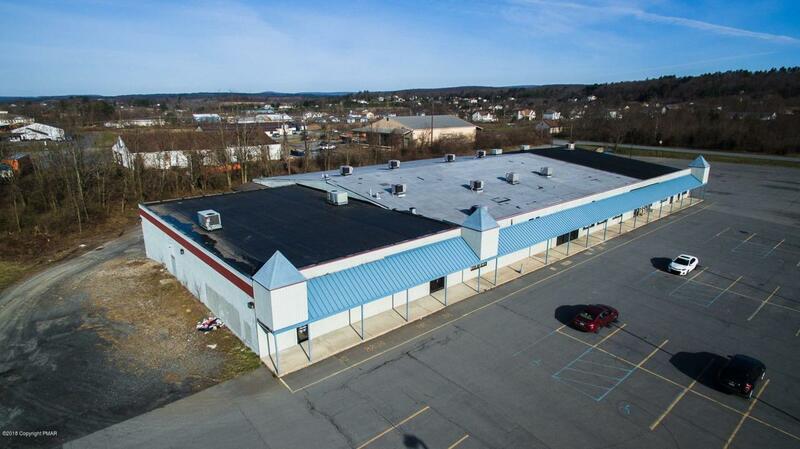 AVAILABLE 35,693 Square Feet of Commercial Space For Sale located right in Brodheadsville, Pa!!! Property zoned GC-General Commercial and overlaps properties zoned VC-Village Commercial and is surrounded by CVS and St. Lukes Health Center. This property is in an ideal location, right at intersection/traffic light on Route 115 and 209, just a few short miles to Route 33. Property has Unlimited Potential Uses such as; warehouse space, storage unit facility, retail, or multiunit apartments/townhouses, (see attached table of permitted uses). This 35,693 square foot building is comprised of 4 individual retail units, a loading dock with full sized dock door situated on 12.76 acres.